"How much wood would a woodchuck chuck if a woodchuck could chuck wood? He would chuck, he would, as much as he could, if a woodchuck could chuck wood." That tongue twister is the most thought that most people ever give to these cuddly little creatures. Whether hiking, camping, or visiting a petting zoo, though, many people cannot help but let out an "aww" upon seeing one. This Baby Animals Woodchuck Proof gives you the chance to elicit the same response from anyone to whom you show your collection. 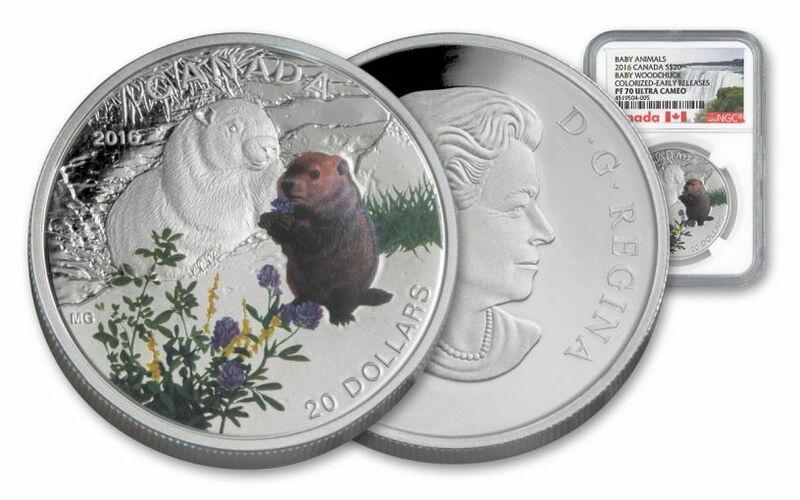 FOUR-NINE FINE -- Each 2016 Baby Animals Woodchuck Proof was struck at the Royal Canadian Mint (RCM) from 1-oz of 99.99% fine silver, matching the high standard of purity set by the country's bullion coin. 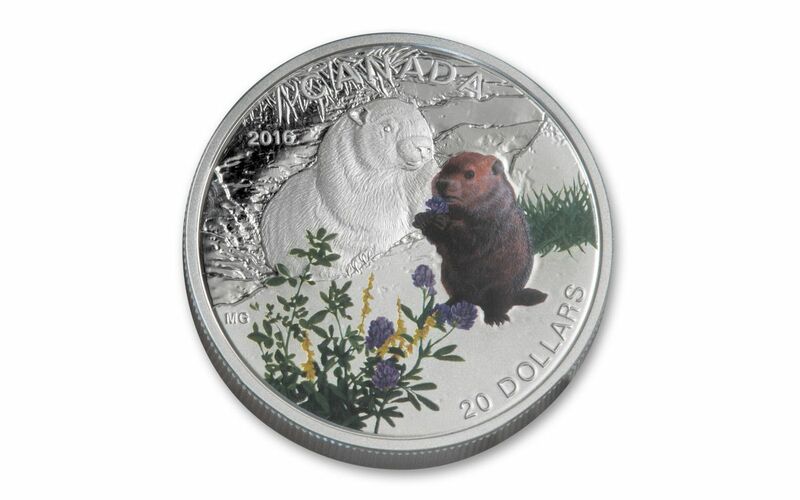 ELEVENTH IN THE SERIES -- This coin is part of the eleventh issue in RCM's Baby Animals Series, which offers a look at some of the youngest wildlife in Canada. 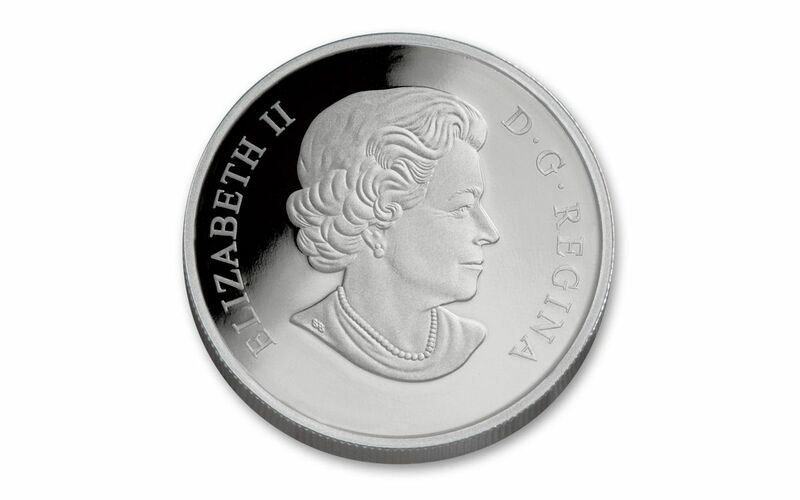 STUNNING PROOF FINISH -- The coin has a shiny proof finish that makes the backdrop glisten against the selectively colorized portions of the design. 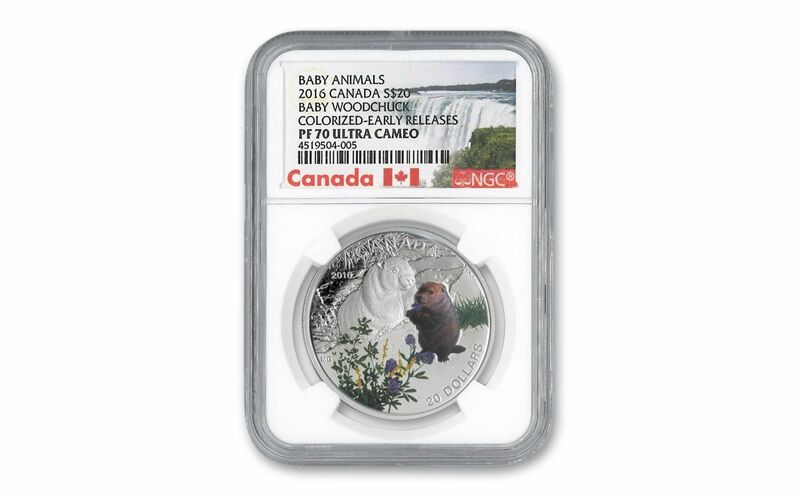 CANADIAN LEGAL TENDER -- Each 2016 Baby Animals Woodchuck Proof is 20 dollars Canadian legal tender, as indicated in the lower right portion of the reverse. LOW MINTAGE -- Just 5,500 pieces were issued in this mintage. Woodchucks are also known as "groundhogs," which elicit either gratitude or ire every February 2 on Groundhog Day. According to an old Pennsylvania Dutch tradition, the groundhog emerges from his burrow on that date. If he sees his shadow, it means that winter will continue. If he does not because of cloudiness, it means that spring is coming early. Perhaps the most famous groundhog of all is Punxsutawney Phil, the one that is officially used at the highly attended annual celebration of the day in central Pennsylvania. With so much lore associated with this animal, there is sure to be plenty of interest in this coin, so order yours at GovMint.com while you still can.